Gala preparations have begun! Time to celebrate the 70s with a Night at the Disco. Clear your calendar for Saturday, March 23rd, 2019. 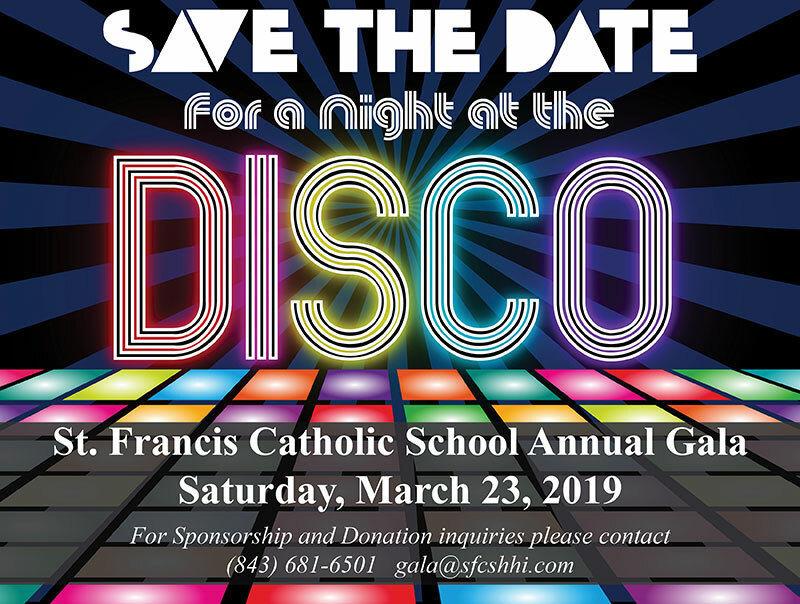 It is going to be a great party and an awesome evening in support of the students of St. Francis Catholic School. If you want to help plan the gala this year or already know that you would like to be a sponsor, please send your inquiry to gala@sfcshhi.com. More information will be coming soon!